Want to join me in pursuit of an MBA – My Book Achieved – this summer? I’m going to be dedicating 6 weeks this summer to make significant progress on my book dreams and invite you to come along with me to do the same for yours. I don’t know about you, but unless I’m in a formalized group, official class or ongoing program, I struggle with staying accountable and meeting deadlines for important projects and life-long goals. So I’m committed to dedicating 6 weeks this summer to jumpstart my book dreams that have been stalled for years. I would LOVE to have you join me. Together we can bring to life the books in our hearts that we’ve always dreamed of writing. 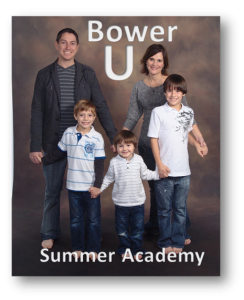 Each summer I create a special academy for my boys during their summer break. This is a fun learning opportunity for them to not take a complete break from learning, but learn about some different topics than they normally do at school – like life skills, entrepreneurship and anything else they are passionate about. If I could choose my ideal summer academy course it would be about books – writing, publishing and selling books. So I’ve created my own online course for book lovers like us. What: The Book Lover’s M.B.A. is 6-week virtual course that includes weekly training sessions with curriculum customized to the group’s needs and weekly group coaching sessions over the phone that are recorded. Who: Anyone who has a book inside them that they want to write “someday” and is ready to take 6 weeks of focused action toward that goal. All ages are welcome (my 10-year-old son, Grant, who wants to be an author is joining us). This also includes whatever stage you are at with book dreams, from just having a book concept or a completed book and anything in between. Where: It’s online, so it’s at your own place and at your own pace. You determine what works best for you during these 6 weeks. You’ll have access to the course for a year so that you can access at any time to review the video lessons and recorded coaching calls. So no need to worry if you are gone on summer vacation for a week. 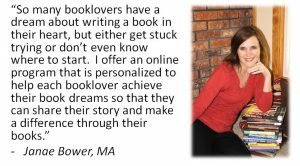 Leveraging best-selling, internationally-recognized programs and top-notch programs for advice for getting books done, getting books published and getting publicity for them. Referencing other books, courses and programs on high performance, motivation, marketing, selling that students need to help get them unstuck and unstoppable. Tapping into some of my author friends, both local and national, for their best advice on navigating the book publishing world. Using what I’m currently working on with my own book dreams as a case study and example. Needs assessment: You’ll fill out a questionnaire on your future book dreams and current book reality to determine the gaps in-between. This will identify specific needs for class content and the group’s overall needs including times and dates for coaching calls. Learning contract: You’ll create a simple learning contract that identifies a specific focus during the 6-week program. Don’t you wait – Don’t keep putting off something that is important to you and others. You’ll never find the time, you have to intentionally choose to make the time for what matters most. It takes longer than you think to make your book dream a reality, so I encourage you to let this be the spark that ignites a fire in your heart. Don’t let them wait – There are people out there just waiting for the message that you are meant to share with them. You have been called to write your book that can impact so many others with your words. They need you and your story. Don’t keep them waiting. Condensed 6-week class provides laser focus on one of your specific book goals for a doable period of time. Summer academy theme is a fun and creative learning opportunity to engage in something your passionate about. The mastermind-type format with a learning contract helps ensure accountability and sharing knowledge with other book lovers. You get the benefits of working with and learning from a co-hort group without having to get together to do group projects! It is a formal class with structured learning process, but with an informal laid-back conversational teaching approach. It is designed to be general to give you an overview of the entire book writing, publishing and selling process also targeted to meet your specific needs of where you are at in the process. The coaching sessions provide the encouragement you need to answer your just-in-time questions and the courage you need to keep progressing down your book journey. It also helps you learn from others regarding their book-related needs. The customized curriculum gives you the competence and credibility to create the best book you can. 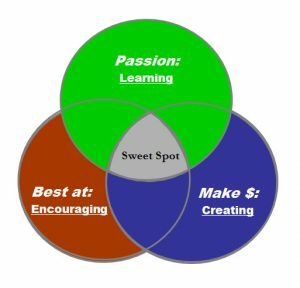 The three-fold approach of information-inspiration-transformation helps you not only learn what you specifically are interested in learning, but targets the next steps for application. Everything will be recorded so that you can go at your pace and access the information for the entire year. The Book Lover’s MBA Summer Academy program, I’m offering founding students who join me now, a discounted price this year and future years. Deadline to register is Friday, June 9. For a very reasonable price, you’ll get proven strategies for making significant progress toward your book dreams. This is less than one personal coaching session with me (and you get 6 coaching sessions plus all the tailored class content). I’m hoping to inspire young authors to take the program. Students who are in school (elementary – college) can take the program for 1/2 half the price. I’m so excited to share this opportunity with YOU! I’m very passionate about this topic and here are a few reasons why. My purpose is IT – Inspire & Transform hearts at home, at work and above and beyond. I consider this to be my life’s work and have formed my business Finding IT around IT! So many books that I’ve read have inspired and transformed my heart. The process of writing my own books has inspired and transformed my own heart as well as the hearts of those who have been touched by my books. I believe you have a book in your heart that is meant to not only inspire and transform you, but your readers. You’ll leave a legacy that outlasts your life. Knowledge – I’m sitting on a gold mine of knowledge that can help all of us as I devour books and programs to help you. Writing – The way that I express what I learn and how I want to encourage others is through writing. 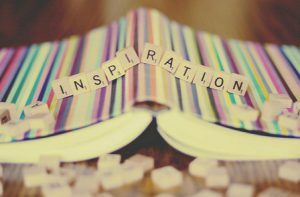 Whether it’s in journals, cards, books or guides, I love putting my inspiration into words. Encouragement – I’m always concerned about what matters most to you and love having heart-to-hearts so that I can give you words of encouragement to help you on your journey. Pastoring – I like to bring small groups together and help guide them to grow and support each other’s potential to soar. I love learning – especially through books. I love reading nonfiction books on personal transformation and spiritual growth and figuring how to apply it to my life. Besides your advisor for this class, I’ll also be a student taking the class. 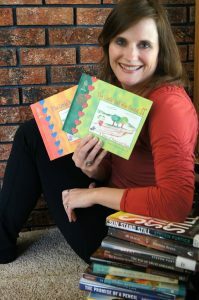 I love creating – writing books, developing classes, designing programs, and making keepsake products. I love encouraging others to brighten, enlighten and ignite their personal transformation. According to the Fascination Advantage system (which I highly recommend and you can access HERE), the way that I fascinate others best is through my style called a Quickstart. This is the way that other’s perceive me using my most influential traits. I combine my creative endeavors to jump start others into action through intentional planning, inventive solutions and identified deadlines. This is exactly what we’ll be dong in this class, creatively jump starting your book dreams for 6 weeks (and hopefully giving you the momentum to continue making progress). I can’t wait to not only facilitate the class, but take it myself! It will be so meaningful for me to share this class with my son and inspire his dreams. I was about his age when I wanted to be an author when I grew up. I’m hoping to give him an advantage that I never had. It would also be such an honor to be part of your special book journey and I sincerely hope you’ll consider joining us for this exciting summer academy! From my heart to yours…be love!